Sailing can be quite a fun and enjoyable experience for someone to do. If you have never been sailing before, it can be difficult to know what to bring with you on the trip to ensure that you are properly prepared for anything that could occur while you are out on the water. 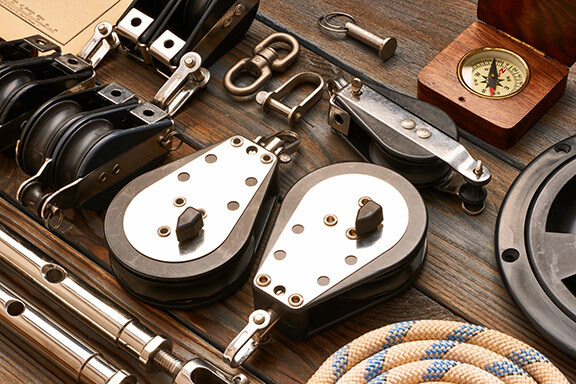 The following guide provides you with a few tips to use to ensure that you have everything you need when you go out on your first sailing adventure. The first thing you need to do is take someone with you who knows what they are doing. If you have never been on a sailboat before, going out on your own could create quite a dangerous situation. Bringing someone along who has experience will ensure that you are able to operate the boat properly. When you are out in the water, the glare from the sun bounces off of the water and hits your skin. Protecting it from the harsh rays of the sun with sunscreen is important if you want to prevent getting a terrible sunburn while you are out sailing. When you sail, you need to be able to see what is under the water. Polarized sunglasses allow you to see into the water more than non-polarized sunglasses do. This ensures that you can guide the boat around any obstacles that may appear to deter the chances of you wrecking the boat. When the wind picks up and the boat starts moving quickly over the water, it can create a cool breeze. Having a light sweater to wear when it gets cool ensures that you can stay comfortable at all times. Closed-toe shoes are important to wear the first time you go sailing. There are a lot of things on a sailboat that could be dropped on your toes and cause them to be injured. Wearing a pair of closed toe shoes gives you the opportunity to learn the things that you need to learn without having to worry about injuring your foot at the same time. It is important to stay hydrated when you are out on the water. Bring along plenty of bottled water and snack for you and your guests to enjoy. Most sailboats do not have refrigerators in them, so it is best to bring a cooler to use when you want to store cold food and drinks cold. When you travel on the boat, you need to know where you are going. There are electronic navigational devices that you can use to make sure that you are going on the route that you want to be going on. Going out into the water without any form of navigation could be very dangerous for you to do. Two other things that you need to have when sailing on the boat are a compass and a map. A map helps you to see when there are elevations under the water and a compass helps you to track which direction you need to guide the boat. Before you head out, it is important to look the boat over to make sure that it has life jackets, an inflatable raft, and a flare gun on board. All of these things are typically already on a sailboat but checking for them will just ensure that you are as safe as you can be before heading out on the open water.